Endtime Rapture: Is the Hollywood Movie “Noah” an Attempt to Prime Society for the the Return of the Nephilim and the Inevitable Disclosure that the Genuine Noah's Ark Rests on Mount Ararat in Turkey? Is the Hollywood Movie “Noah” an Attempt to Prime Society for the the Return of the Nephilim and the Inevitable Disclosure that the Genuine Noah's Ark Rests on Mount Ararat in Turkey? Darren Aronofsky’s Noah was released with much criticism from the Christian community. Christian viewers have "questioned the film's adherence to the Bible story and reacted negatively to the intensity and darkness of the lead character." Paramount Pictures, however, has attempted to deflect criticism by citing creative license. Perhaps Christian audiences should not have been surprised that a supposedly bible-themed movie could contain numerous distortions about the historical Noah and his times. After all, Hollywood has been compared to the "Devil's Playground", among other things. One major distortion in the movie concerns fallen angels. In the movie, fallen angels are portrayed as giant rock monsters that have more compassion for humanity than God, even to the point of being banished to Earth for their compassion for humanity. On the other hand, we learn from the Book of Enoch (which is regarded as scripture by the Ethiopian Orthodox Church) that fallen angels are beings that God had created, and that had been dispatched to earth to watch over mankind. In Darren Aronofsky’s Noah, fallen angels are portrayed as the heroes or "good guys". On the other hand, Genesis 6:5 alludes to the corruption that the fallen angels and their offspring (the Nephilim) had caused amongst mankind and themselves: "The Lord saw how great man's wickedness on the earth had become..." Indeed, the book of Enoch also details how the fallen angels had taught mankind to do evil, by teaching men to make weapons for war (like swords and shields) from the metals of the earth, and in teaching women magical incantations. 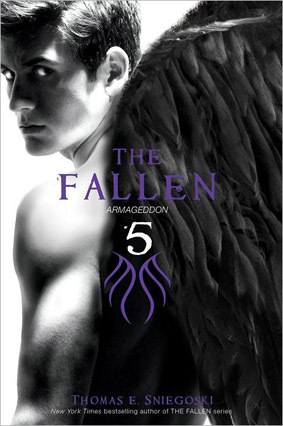 In the popular media, apart from Darren Aronofsky’s Noah, the portrayal of fallen angels or the Nephilim as "good guys" can also found in The Fallen -- a series of teen fiction books by Thomas E. Sniegoski. Satan is determined to create his own Hell on Earth and has unleashed unfathomable chaos into the world. Cut off from Heaven, humanity’s only hope for salvation rests with eighteen-year-old Aaron and the other Nephilim who fight by his side. These angelic warriors will protect civilization and restore God’s favor no matter the cost. But there can be only one champion—and defeat is eternal. The battle lines have been drawn. Armageddon is here. Now, in Luke 17:26 (NIV), the Lord Jesus Christ was recorded to have said, "Just as it was in the days of Noah, so also will it be in the days of the Son of Man". Interestingly, the New Living Translation rendition of this same verse reads like this: "When the Son of Man returns, it will be like it was in Noah's day." Could we be living close to the return of the Son of Man? It certainly seems that way. In the days of Noah, fallen angels and the Nephilim mingled freely with the human race, and our present society (and worringly, the younger generation) seems to be primed for a revival of these ungodly interactions. Many Christians have speculated whether Noah's ark truly exists. For the record, it does. In 2009, a Hong Kong-Turkish expedition team made a hazardous climb up Mount Ararat in Turkey, and after excavating deep inside the glacier at an elevation of over 4,000m, they successfully uncovered and entered a massive wood structure. And using footage from their expedition, they made it into a movie ('The Days of Noah - Apocalypse'). 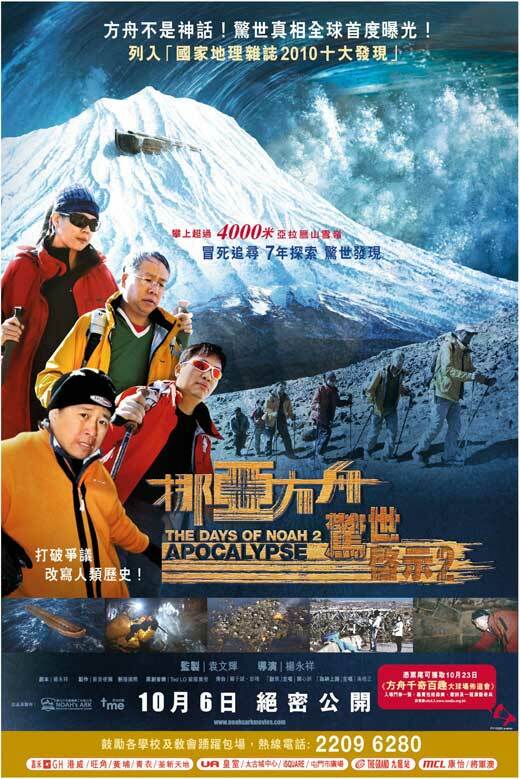 Unlike Darren Aronofsky’s Noah, the Hong Kong produced Days of Noah did not receive any media attention from the mainstream media. One explanation, of course, could be that an expedition organised in the East doesn't gain much traction in the West. One speculates, however, that the ark's existence is being concealed by the mainstream media, and that when its existence is finally disclosed by the mainstream media, it would be due to the utter inability for the mainstream media to conceal the truth any further. The expedition made by the Hong Kong-Turkish team suggests that Noah's ark not only nests safely up Mount Ararat, but that the ark is largely undamaged and intact, preserved by snow. Has God preserved Noah's ark for a purpose, for a generation long after Noah's had passed? Perhaps to the generation that God reveals Noah's ark, the revelation would be a divinely inspired one, akin to a warning to that that generation is living in an age as precarious as that of Noah's, and that unless it repents of its ways, a judgment that is as fearsome as the one that Noah's generation faced is certain? However, having been primed by movies like Darren Aronofsky’s Noah, would a generation like ours still be able to perceive God warning to the world?